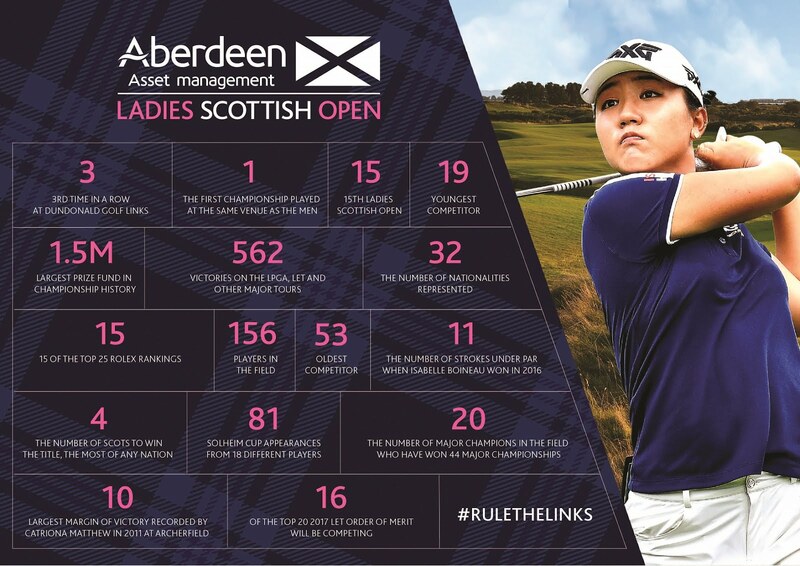 Dundonald, 25 July, 2017 – The stage is set to make Ladies Scottish Open history with the strongest-ever field assembled for the 2017 Aberdeen Asset Management Ladies Scottish Open from 27th - 30th July at Dundonald Links. Defending champion, Isabelle Boineau, who won her maiden Ladies European Tour title in spectacular fashion last year with a final round of 68, faces stiff competition to defend her crown with this year's tournament featuring 156 of the world's best players from both the LET and the LPGA, in the newly co-sanctioned $1.5m event. Headed by world no. 1, So Yeon Ryu, who is making her debut at the North Ayrshire links venue alongside 2016 LET No. 1, Beth Allen, and the world's youngest no. 1, Lydia Ko, the 2017 field comprises of 5 of the world's top 10 and 15 of the top 30. Compared with last year's championship, which featured just 2 of the world's top 100. Joining them as part of the elite field, comprising of 19 Major Champions and 18 former Solheim Cup players, is Scotland's Catriona Matthew, World no.2 Ariya Jutanugarn, Grand Slam Major Champion Inbee Park, Norway's Suzann Pettersen and popular American Michelle Wie. Looking to 'Rule the Links' for a second year, Boineau will begin her title defence alongside Japanese sensation, Ai Miyazato and Korean six-time LPGA winner Sei Young Kim; whilst Scottish star and two-time winner, Matthew, tees off with Denmark's Emily Kristine Pedersen and Germany's Caroline Masson. Commenting on defending her title, Boineau, said, "I'm really happy and proud to have won last year in Scotland, The Home of Golf and I'm pleased to be here at a course I really enjoy. Last year's win feels like it was ten years ago but the feeling I got when I won was just like a drug, I feel like I need it again because if not, I won't be satisfied." Catriona Matthew, who will be joined by eight other Scots in the field, said, "I'm pleased to return to Scotland and with the event co-sanctioned for the first year, it's a much bigger event with more buzz about it. The conditions will play a huge part in who will be crowned champion on Sunday but I'll do everything I can to put in a good performance." World no. 1, So Yeon Ryu, said, "Links golf is very different to the courses I usually play and I'm very excited about the challenge ahead this week. Just playing for one week is not enough time to get used to this style of course and so this is the perfect preparation ahead of next week's Ricoh Women's British Open. From what I have seen so far the course here at Dundonald is fantastic and I love being in Scotland - the Home of Golf where it all started." 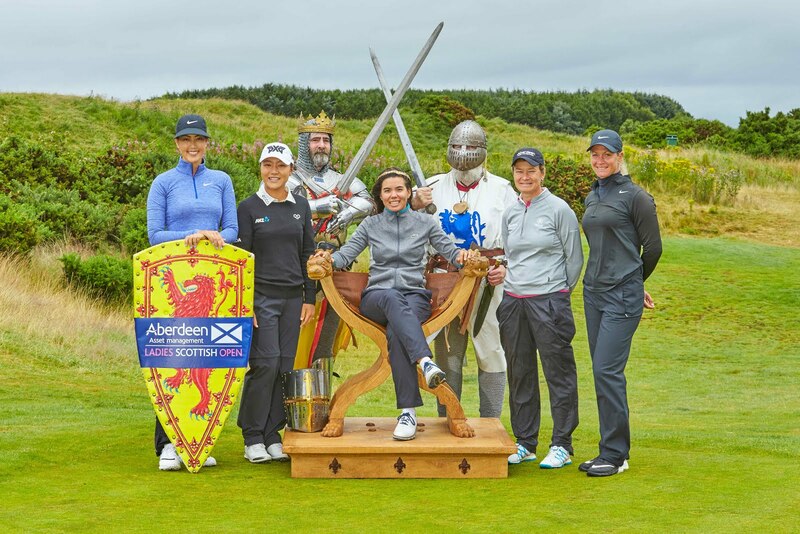 Taking place the week before the Ricoh Women's British Open at Kingsbarns in 2017, the Aberdeen Asset Management Ladies Scottish Open kicks off a superb two weeks of links golf in Scotland. The back-to-back stretch of events echoes the successful strategy employed by the Men's Scottish Open taking place the week before The Open – an approach proven to be a competitive advantage for those players competing in both Championships. The Aberdeen Asset Management Ladies Scottish Open is also a key element of Scotland's commitments to the staging of The 2019 Solheim Cup at Gleneagles.